He calls himself ‘Chief Toilet Cleaner’; he is also famously known as ‘PoopGuy’. Meet Swapnil Chaturvedi, who cleans toilets in the slums of Pune. 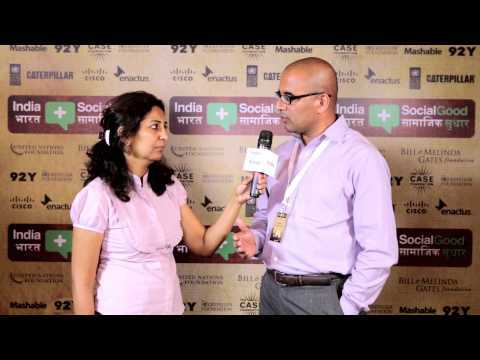 Swapnil Chaturvedi started ‘Samagra Sanitation’ in 2011. Samagra brings clean toilets to the underprivileged people living in the slums, with the support from the Bill & Melinda Gates Foundation. When Swapnil returned to India from US, he was too excited to meet his family and to see the progress in his home country. But he saw a completely different picture. He could see big shopping malls on one hand and on the other, there were these slums all over the city, with kids defecating in the open. That is when he realized that his true calling was in helping the poor in his home country. Since the foundation of Samagra Sanitation, Swapnil Chaturvedi has been working to provide awesome sanitation services for the urban poor. The community toilets are built in collaborations with the municipality, FMCGs and the local businesses. Apart from Pune, Samagra Sanitation has also started a project in Ahmedabad. Currently, there are nearly 5,100 underprivileged people who are benefited from Samagra’s toilets. Swapnil has also started an Indiegogo campaign, to raise money to provide community toilets for 50,000 people.